Bianca Roy-Mathie is an experienced Physiotherapist with a passion of working in the Health Industry. She is skilled in Orthopedic Sports Injuries, Concussions, Manual Therapy and Injury Prevention. Determined to find the source of pain within the Musculoskeletal System, this professional has graduated with a Masters Degree from McGill University in 2014 and continuing her hands on experience through the AQPMO and OPPQ. ..
Bianca Roy-Mathie est une Physiothérapeute motivée et entreprenante dans le domaine de la santé. Elle est spécialisée dans les blessures orthopédiques, commotions cérébrales, thérapie manuelle et prévention des blessures. Toujours déterminée de trouver la source de la douleur au niveau du système musculoskeletique. Cette Physiothérapeute a graduée avec une Maitrise de l'Université McGill en 2014. Elle continue sa formation continue à travers L'AQPMO et l’OPPQ. Bianca is a remarkable and efficient therapist. She was able to treat us from small day to day aches to serious injuries with care. She has guided us and most importantly taught us how to care of ourselves for multiple injuries such as running injuries, post fracture limited range of motion and sciatica. We are very thankful and highly recommend her to all. — Isabelle Doré and Stéphane Désautels, parents of Laurence and Maxime. Passionate about sports, Sabrina regularly runs, plays tennis, practices yoga as well as Crossfit. Sabrina started her career in the rehabilitation industry in 2011. Sabrina has more than one string to her bow! She completed a bachelor’s degree in Kinesiology at the University of Montreal. She then obtained a diploma in Osteopathy after her studies at the College of Osteopathic Studies (CEO) in Montreal. 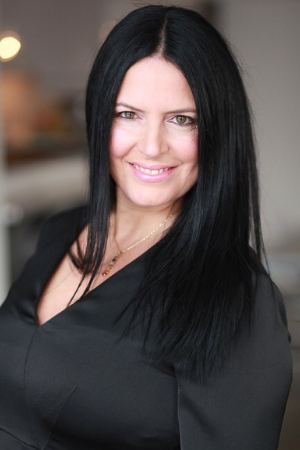 Not only is she actively working as a Kinesiologist and Osteopath, Sabrina is presently working on a research project in osteopathy and continues her education to serve you better. Prior to her career as an Osteopath, Caroline practiced as an Athletic Therapist with a degree from Concordia University and worked with several sports teams. She then graduated from the “Collège d’Études Ostéopathiques de Montreal (CEO)” in 2015. Caroline is a proactive therapist, she always continues to further educate herself through a variety of post graduate courses including: Active Release Techniques (ART), treatment and prevention of running injuries, functional medicine health coaching and more. Caroline has a strong interest in finding and addressing the root cause of problems to promote wellness. In 2018 she became a Certified Functional Medicine Health Coach from the Functional Medicine Coaching Academy (FMCA). She is now combining Athletic Therapy, Osteopathy and Functional Medicine Health Coaching all together in her practice. Member of: Ostéopathie Québec. I suffer from fibromyalgia, osteoarthritis and thyroid autoimmune disease. I have tried different kinds of therapists over the years, but nothing made me feel better until I met Caroline and experienced Osteopathy. Caroline is the most thorough and caring Osteopath that I’ve ever dealt with over the last 15 years. With her gentle manipulations, her great expertise and knowledge, she manages to help me alleviate immense amount of pain. I highly recommend Caroline Désourdy! Sarah Gagné holds a bachelor’s degree in kinesiology from McGill University in Montreal. She later became a massage therapist at École Kiné-Concept located in the same city. She is a certified professional, part of the Fédération québécoise des massothérapeutes agréés (FQM). She founded her own company, SAGA Fitness, 12 years ago and offers massage therapy and personal training services. It is impossible to talk about Sarah without mentioning the many facets of her journey. .
Eternal sports enthusiast, Sarah was also an athlete for several years. A key player on the Martlet basketball team at McGill University, she stands out for her leadership and tenacity. — Merci Sarah de Suzanne D.